Just like antique grand pianos, heritage homes are priceless family possessions that require a lot of care during maintenance and repairs. At Bushewood Building Company, we understand how delicate your precious heritage style home is, and our builders are highly skilled in renovating and restoring these houses. Why are heritage style homes so important? Heritage style homes are important because they take us back in time to the historical era when the house was originally built. They are a work of art, and just by looking at the architectural design and materials used, you can tell the period in which the house was built. Restoring heritage homes is a way of preserving Australia’s historic buildings. Bushewood Building Company are keen observers, and we always take note of each material used to build the house, ensuring that we use the same materials and decorations during restoration. This includes decorative glass, light fittings, hardware, and mouldings. When undertaking heritage homes restorations projects, our contractors are keen to ensure that they don’t overdo it hence the house will still look like the old building after we’re done. 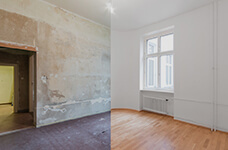 Besides preserving the original appearance of the home, we also ensure that interior features are retained, as well as the original use of your rooms. All our contractors have deep knowledge of various building materials and finishes, and we apply them appropriately when restoring your heritage style home. We also preserve the architectural design of your heritage home when undertaking alterations or additions to ensure that they match the era in which the house was built. These alterations include construction of rear extensions to add more living space to your heritage home. Our profound experience in building and construction and dedication to providing high quality services to our customers is what differentiates us from the rest. Whether you are building a new home or you’re planning to renovate your old home, there is no better way to go about it than letting us build for you. Contact us today for a quote or to book an appointment with our highly skilled contractors.